Did you know that there are actually 5 major flavors: sweet, salty, savory, sour & bitter. We, as a species, have one of the most complex tastebuds, and yet everything in this world can be summed into 5 categories. However, as simple as these flavor categories are, each one can be special and unique to us. When I start saying the word sweet, I think about eating my grandmothers famous vanilla ice cream when I went to visit her. When I say sour, I start to pucker and think of that time I ate too many sour patch kids at the theater with my friends. Truth is we associate food and its flavor with more than just taste. We associate it with a moment. Because food isn’t just food, right? Food is a moment that we share with ourselves and those around us. Food is an extension of who we are and what we love. Food is a flavor that we taste, feel & experience. Food is essential to life itself, but sadly we are slowly losing its flavor. As a millennial, I have grown up knowing that any type of food I need can be found in an instant. Not only is drive thru everywhere, but microwaves create international dishes in under 60 seconds. It wasn’t until my senior year of college that I realized I didn’t know how to actually cook. My favorite line used to be: “I make a mean bowl of cereal.” The truth is, like the majority of my peers, I never really learned how to cook because I never really had too. Better yet, I didn’t know what I was missing from cooking my own food. In a culture that is constantly craving acceptance and community, it is no wonder that we are lacking the ability to cook food. For years, cooking food was an event filled with family & friends. You only shared your dinner table with people that you loved. Breaking bread with someone wasn’t just a way to find sustenance, but a source of community. Instead of Netflix, those at your table were your primary entertainment. Instead of sophisticated temperature gauges, crazy cook books or high tech kitchen gadgets, the secrets to making great food was passed down by grandparents and parents. We kept cooking traditions in the family not just because the food was delicious, but because we wanted to learn more about something the older generations knew: food isn’t just food. Food is essential to life as a human because food brings people together. It creates an opportunity where real people can sit down at a real dinner table and have a real conversation. After watching a show on Netflix (ironic right? ), I saw a whole new side of food. I watched as an amazing South American chef cooked everything over live fire. The funny thing was that it wasn’t a new twist on an old way of cooking. We all know that cooking over fire has happened since the creation of fire itself. No, he saw it as the most basic way of cooking. No kitchen, no utensils & sometimes no grill. It was almost like tapping into an old source of wisdom. This was the way that our ancestors cooked. This was the way that we have been cooking for generations. And this was a way for me to start learning how to cook. I dove deep into the world of live fire cooking. Being a millennial, I started an Instagram about it. I only find this an oxymoron later. 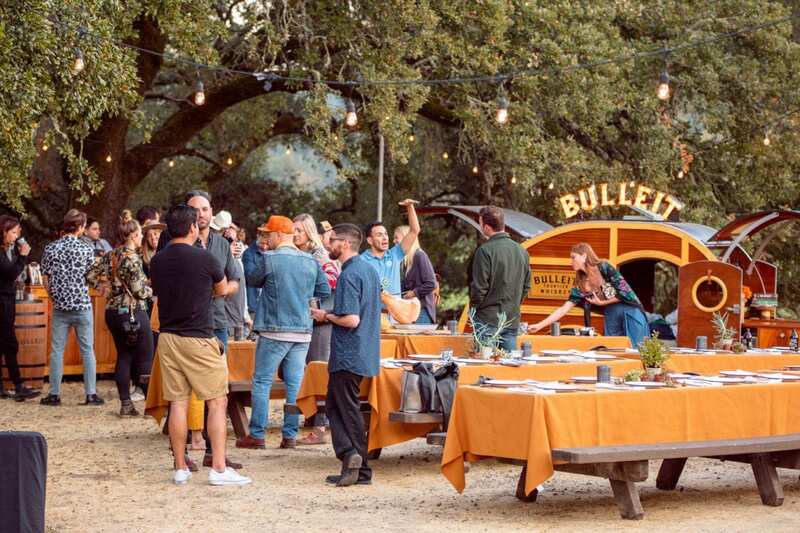 I started to connect with chefs and outdoor cooks from around the world. These are humble people that value a traditional way of cooking more than I ever thought was possible. As I did more research, I started to notice a trend: every culture cooks over fire. Every dish has a story. Every person has a memory with his/her food. 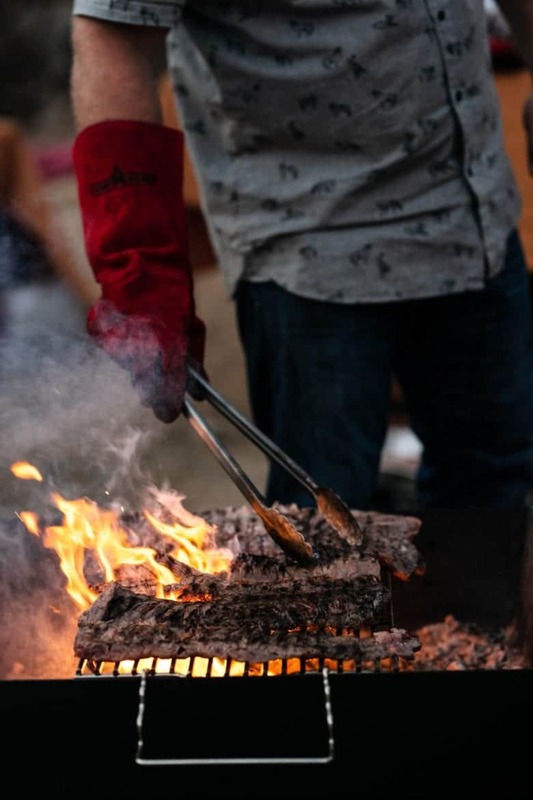 From Argentinian asado to South African braai or American bbq, every person & culture can connect with open fire cooking. 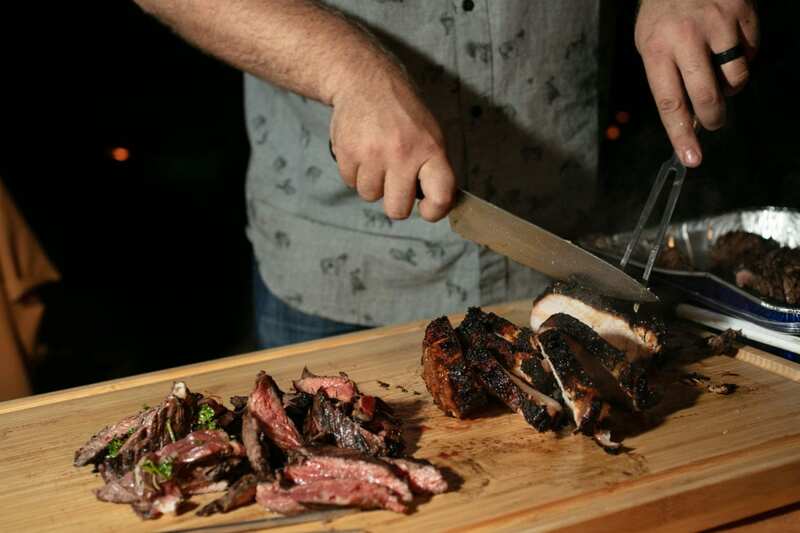 We crave the richness of the meats cooked over the flames. We love our vegetables charred and caramelized. When people are cooking their food in the ways that their grandparents and parents did, then there is something extraordinary that begins to happen. People all become a little closer. Our differences become smaller. We recognize each other as people who want delicious food & real community. So what is really causing this? Honestly, it’s because cooking and food make moments we remember. These people are finding themselves connecting in a very basic but essential way: food isn’t just food. Food is a place of community. I value technology advancement and its place in our future, but sometimes we need to get perspective on how things used to be. We are constantly facing the onslaught of life’s problems for the future, but what if the answer to your current questions lies in the past. What if when we push past the hassle of making a fire and cooking on it, we are able to see the blessing of having flavorful meals in under 60 seconds? What if when we overcome all the uncomfortable things about cooking outside, we see the gift of being able to have our own kitchens inside? 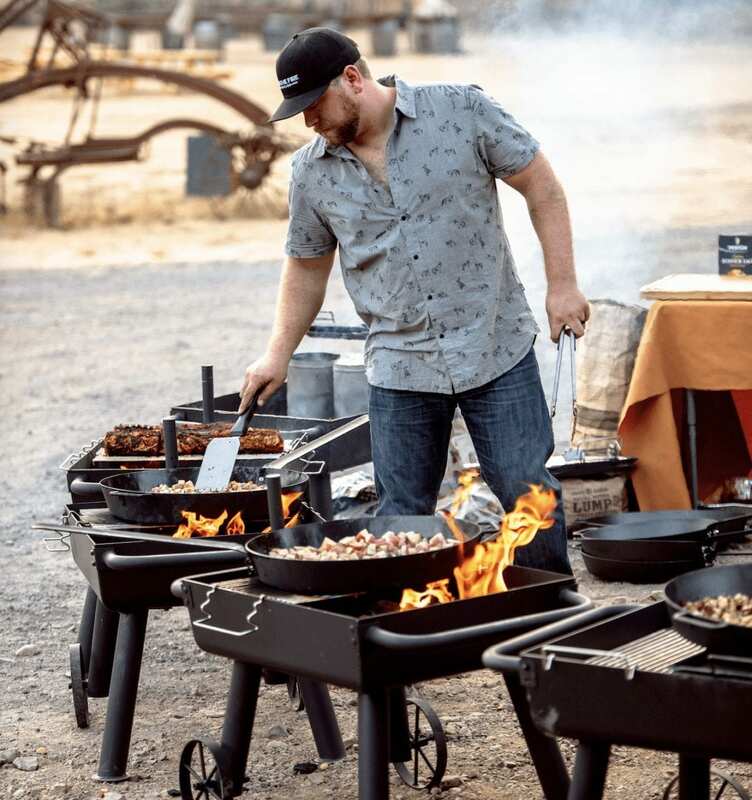 What if when appreciate the basic flavors of open fire cooking, we are able to be thankful for how technology has connected us to new tastes? We cannot reject the past if we want to move into the future. We also cannot just acknowledge the past either. We need to actively remember it. One way to do that is cooking over fire. Like those who I have met on this journey or those who have gone before me, we need to get outside and enjoy the great outdoors. We need to cook over fire with friends and family. We need to create new memories with all 5 of the major flavors. We need to live, love, laugh and be together because we cannot forget a simple truth: food isn’t just food. It is a quintessential flavor of life that ultimately brings people together: past, present and hopefully future.